Mutual funds are a very popular type of investment. However, they can be somewhat complex. They are also offered in a multitude of variations. The sheer number of fund offerings in the market alone can make them a bit overwhelming for many investors. Thus, there are a few key things that can be helpful to know about mutual funds before making any type of investment. Here are some of the key considerations to be aware of before adding these investments to your portfolio. First, it is important to understand what a mutual fund is. There are over 7,000 mutual funds, each with a different goal and objective. Some invest in bonds, some in stocks, and some have a wide range of eligible investments. The strategies for these funds can vary widely, spanning from balanced, to conservative, aggressive, income-focused, and growth-oriented. One of the advantages of a mutual fund is it allows you to capture the returns of an entire segment of the market without having to buy and sell individual stocks and bonds. For example, if you bought an S&P 500 index fund you would experience the historical stock market returns of the S&P 500, without having to buy all 500 stocks. This ability to diversify across many investments with the purchase of a single fund is one of the main reasons mutual funds are so popular. To pick a mutual fund that will be a good investment for you, you have to define your investing goals and objectives. This will help you to narrow down your choices. For example, if you're not planning on using the invested funds for a long time, you can focus on long-term growth. If you don't like risk or need to use the money in the next few years you'll want to focus on safety. If you pick a growth fund when you needed safety - or vice versa - then the fund is not likely to end up being a good investment for you. Fees are an important factor in investing and can be a deterrent for many investors. Generally, the lower the investment expenses you pay, the higher your returns. So most all investors typically like to minimize fees. You can study the cost of a mutual fund by looking at the fund's expense ratio which is always disclosed in the funds' prospectus - and today can usually be found online. You'll want to look for funds that have low fees (ideally less than 1%). Fees can be a big factor when it comes to comparing returns. Keep in mind, last year’s results are no indication of what might happen in the future but a fund’s expenses can affect the returns. With mutual funds, returns are reported net of expenses. Management fees are one part of expenses, with these deductions typically made once per year. Other fees may include trading costs and marketing fees. Morningstar is a company that provides statistics and research on mutual funds. Once you have narrowed down the type of fund that matches your goals, their research platform offers a proven way to find funds that are most likely to have the best performance. This can easily be done through their style box fund analysis. There are a variety of management strategies but the two most comprehensive include active and passive. It pays to learn the difference between these two as they have a significant impact on the expectations for a mutual fund. In a nutshell, actively managed mutual funds trade in and out of securities based on the direction of the fund manager, while passive funds buy and hold a specific collection of securities usually based on an index. The benefits of active versus passive investing are an ongoing debate in the investment industry. Each has its own advantages and disadvantages, especially through different market cycles. Mutual funds can be quite an effective investment when used to build a portfolio that follows an asset allocation model. In simplified terms, a basic asset allocation model will tell you how much of your money should be in stocks versus bonds, and then within stocks how much should be in U.S. stocks versus international stocks. Once you have an allocation model you can pick a mutual fund family to work with. Vanguard and Schwab are good platforms to start with. Then pick a mutual fund to fill in each asset class. For example an S&P 500 index fund for U.S. stocks, an international equity index fund to fill in the international piece of your portfolio, and a total market bond index fund for the bond portion. This asset allocation plan should match your goals. If you are investing retirement money that you won’t need to touch for twenty years, you can pick a more aggressive fund like an equity fund, and leave it alone. If you are retiring in a few years then having all your money in an equity fund may not be such a good idea. Instead, you may want to look at a balanced fund. It can be helpful to use an investment risk scale to classify funds and match them to your goals. 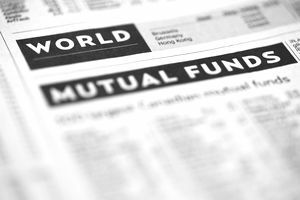 Mutual funds can be great investment vehicles for retirement portfolios. Some mutual funds are designed to produce monthly or quarterly income. Several mutual fund families have created a series of retirement income funds which are built around a glidepath scale which reduces risk as retirement approaches. All of these can be good options for someone saving for retirement who wants to manage their own money. Using mutual funds for retirement investing generally involves a disciplined risk management approach. Whether you are investing on your own or working with a financial adviser, you will want to make sure your retirement portfolio is regularly balanced to plan for the liquidity you need. Mutual funds allow investors to invest in a diversified portfolio of investments. They can be complex because of their structure. If you are considering mutual fund investments it is important to understand some of their key attributes. There are also a wide variety of mutual funds available so understanding your own goals and how a particular fund matches up will help you to optimize your returns.